In the ongoing battle over team names, the Suits In Indianapolis (Formerly Kansas) have allowed the University of North Dakota to keep thousands of logos depicting an American Indian warrior. 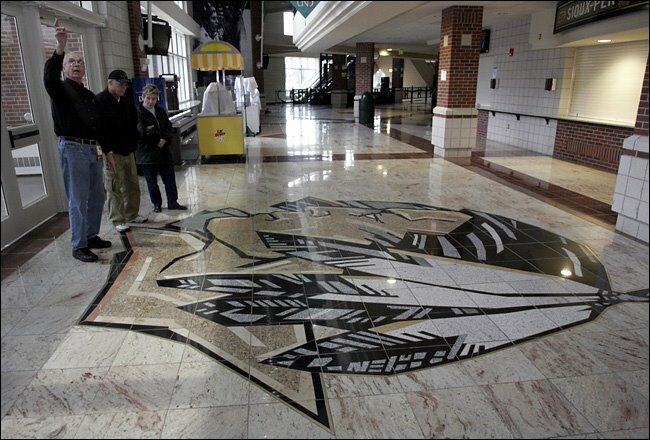 According to the Associated Press, the agreement comes in a decades-old controversy that has included lawsuits, legislation, NCAA threats and a statewide vote about whether the school's Fighting Sioux nickname and Indian-head logo were insensitive to local tribes. The state Board of Higher Education had ordered the school this summer to drop the nickname and moniker to abide by a 2007 agreement with the NCAA. 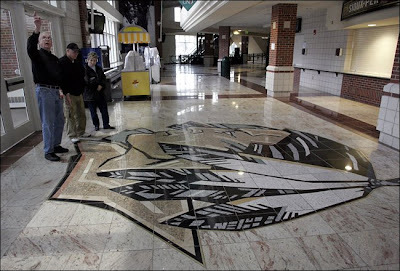 But that plan called for all Sioux logos to be removed from the two arenas, which have thousands of the logos -- including on brass medallions on chairs and a 10-foot sketch in the hockey arena's granite floor. The new plan allows that imagery to stay, though six signs that say "Home of the Fighting Sioux" must be removed so the school will be in NCAA compliance and able to host post-season sporting events. The logo also won't be replaced when it wears out in carpeting. UND’s hockey arena is named after alumnus and former goaltender Ralph Engelstad, a property developer and casino owner who donated $100 million to finance the 400,000-square-foot arena. Before his death in 2002, he'd told state higher education board he would withdraw his support if the nickname were changed. 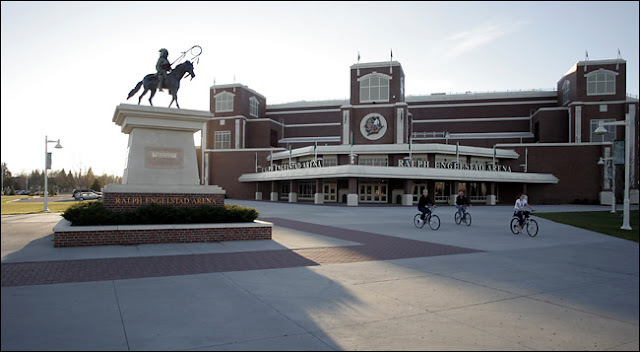 The arena opened in October 2001, and the Betty Engelstad Sioux Center, named for his wife, opened in 2004. 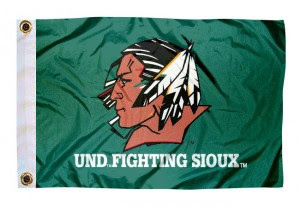 The debate over the Fighting Sioux nickname heated up in 2005, when the NCAA listed 19 schools with American Indian nicknames, logos and mascots it deemed to be "hostile and abusive." The NCAA allowed some schools to keep such nicknames provided they received tribal support (which would be the case with Florida State). But in the University of North Dakota's case, the Spirit Lake Sioux tribe endorsed using the nickname and logo, but The Standing Rock Sioux's tribal council didn't. The university sued the NCAA, which eventually led to the settlement agreement.